I keep this picture as a reminder to myself, that I was once that small. I once had a little girl face who did not deserve the slaps it endured. 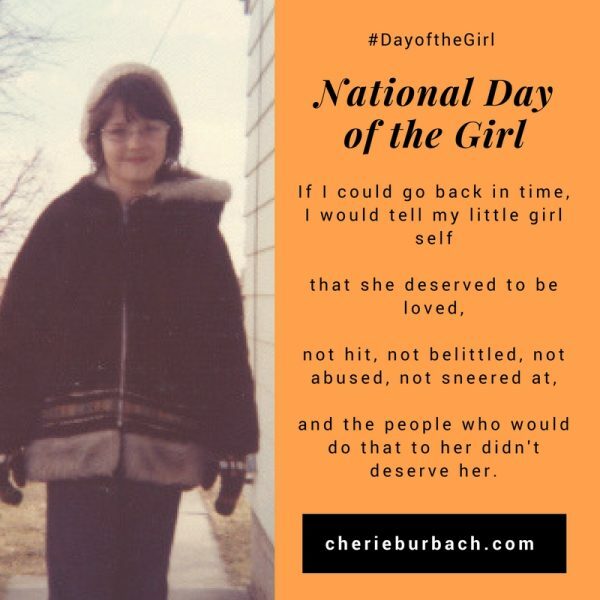 I was once a shy spirit in a little girl body who deserved protection and love. I didn’t get it when I was young. It took me a long time to figure out how to be whole and how to accept love because of that. It took me a long time to understand what love really was. But I did. Long ago. Decades ago. Still, I keep this picture of myself because there are times when I look at it and it feels like a completely different person. Like I couldn’t have been that little, because of everything I went through. The adult me has learned how to have a happy life. The adult me has learned what God has done in my life. That younger me, though, she didn’t know. Underneath that young face is a sad girl who doesn’t like herself, because she’s being told daily that she is disgusting and ugly. She will be the outlet for people who should know better and yet choose to take it out on her. All of it. She will hate her face and body and way of being. She will feel afraid every day, because there is no safe place in her home. She will wonder why she was even born. But not forever. And if I could go back in time, I would tell her all of that. Instead, I have today. I have women sisters in my life of all ages, and I choose to build them up and honor them. I choose to treat myself with respect. I choose to use my voice to make sure women and girls are never treated as I was once.